Home > Credit & Debt > What is Factoring? Every business will experience cashflow problems at some point in its existence. While the magnitude of these problems will vary from company to company, it is almost guaranteed that at some point your business will struggle for cash. Ironically, a business that runs into these problems is frequently perfectly solvent; the accounts may look healthy and the books may balance. Accounts, however, do not always give an accurate picture of day-to-day cashflow. While there may be assets in the company in the form of invoices, these frequently go unpaid for some time, causing problems for the business. Factoring is a method by which a business can ease its day-to-day finance problems and exploit its unpaid invoices. As has been mentioned, any invoice issued by your company to a client or customer is treated as an asset of your business. It is known as a 'receivable', and contributes to the total value of your business. In many cases, however, this contribution is entirely fictitious. The reality of the situation is that many clients fail to pay their invoices on time. As such, cashflow predictions made on the basis of accounts receivable are notoriously unreliable, as there is no guarantee as to when these putative assets will become hard cash. In these circumstances, financing the day-to-day running of a small business can become difficult. However, as these receivables are assets, you are free to do what you like with them. Factoring allows a business to sell of their receivables, thereby creating some quick cash and easing problems with finance. Factoring involves the sale of unpaid invoices to a third party. This third party then takes on the responsibility for chasing the debt; from the point of sale it is completely out of your hands. The factoring company that has bought your receivable will then ensure that the invoice is paid, and will keep the value of the invoice. The factoring company makes their money by offering to buy your invoices only at a discount. As such, you will not receive the face value of your invoices if you choose factoring as a method of financing your business in the short-term. Factoring is clearly different from other methods of financing, particularly a bank loan. In the case of a loan, there are only two parties involved – the creditor and the debtor. In the case of factoring, there are three: the seller (you), the debtor (the customer), and the buyer (the factoring company). Importantly, factoring also differs from loans in terms of the criteria. Eligibility for a bank loan is, in great part, judged against your deemed worthiness for credit. However, anyone with unpaid invoices is free to turn to factoring, regardless of their credit history. Finally, it is important to look at when factoring is potentially a good idea. 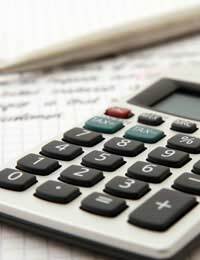 It is true that some businesses turn to factoring when they have no other option; if your cashflow problems are this bad then by all means use factoring in the short term, but you should also ensure that you give some thought to the methods by which you ensure that invoices are paid. Many businesses, however, choose to use factoring even when they are in good health. This occurs when it is decided that the potential benefit of having a percentage of the invoice available immediately outweighs the ultimate benefit of receiving the face value at a later date. For example, if your company is presented with an opportunity to buy important equipment at a discount, but only for a limited period, factoring may well be the best option as it is likely to save you money in the long term. There are a number of companies offering factoring services online. You may wish to use a dedicated comparison site to ensure that you are getting the best price for your receivables.